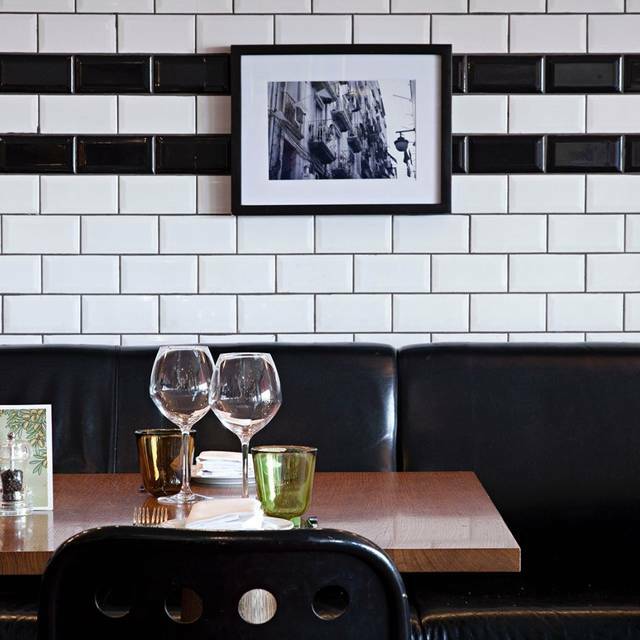 Located on the Thames with beautiful riverside views of Tower Bridge, Cantina del Ponte welcomes group reservations or be exclusively hired for up to 100 guests seated or 200 standing. 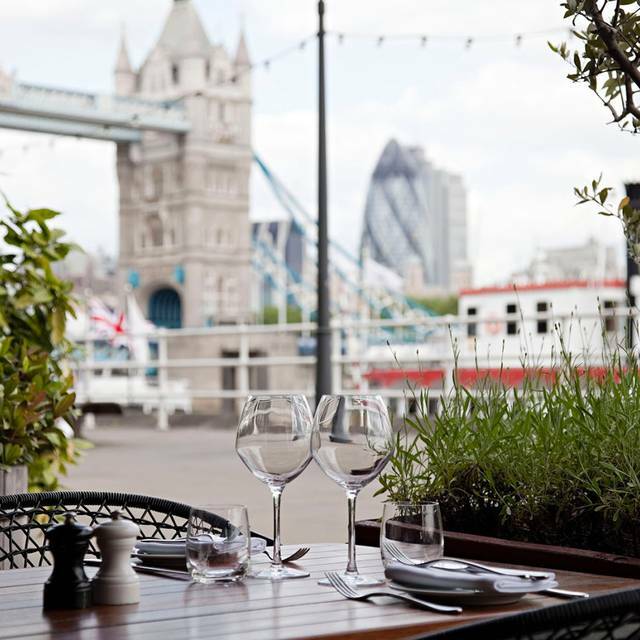 Toast with a glass of Prosecco during a drinks reception on the terraces overlooking Tower Bridge before heading inside to a dinner or buffet. A fabulous venue for your lunch or dinner, Cantina del Ponte is suitable for all private parties including birthdays and anniversaries, as well as corporate events such as product launches, awards ceremonies, premieres and team dinners. Our menu is authentic, rustic and very reasonably priced. 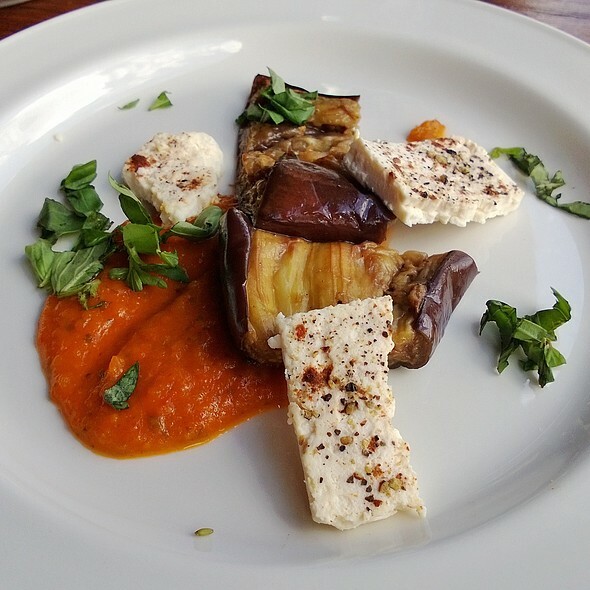 Inspiration for the regularly changing seasonal menus comes from every corner of Italy with recommendations including: parma ham and melon; warm goat cheese with chilli jam and homemade focaccia bread; veal Milanese and mouth watering tiramisu. Do not miss our delicious signature dishes: lobster linguine and seafood risotto. 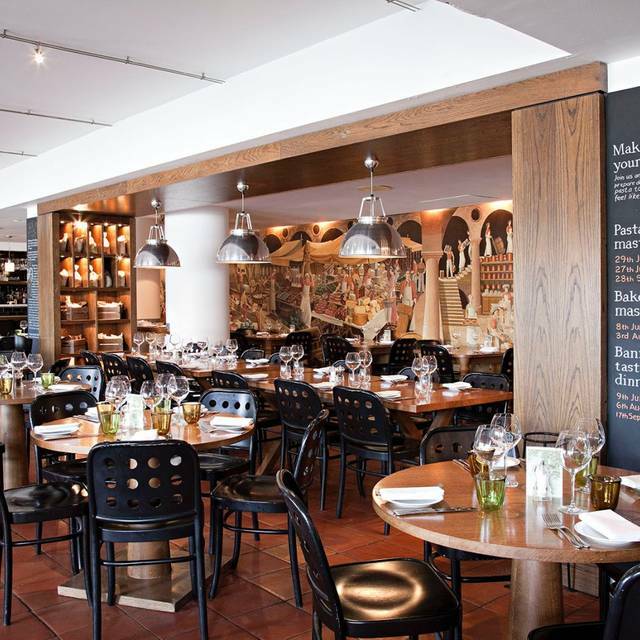 A corner of Italian sunshine in Butlers Wharf, Shad Thames, Cantina del Ponte offers the influences, flavours and atmosphere of Italy. A huge canopy provides a people-watching paradise for sunny days with great views of Tower Bridge. Cantina del Ponte is inspired by the three Rs that make Italian food truly great: rustic, robust and reasonably priced. 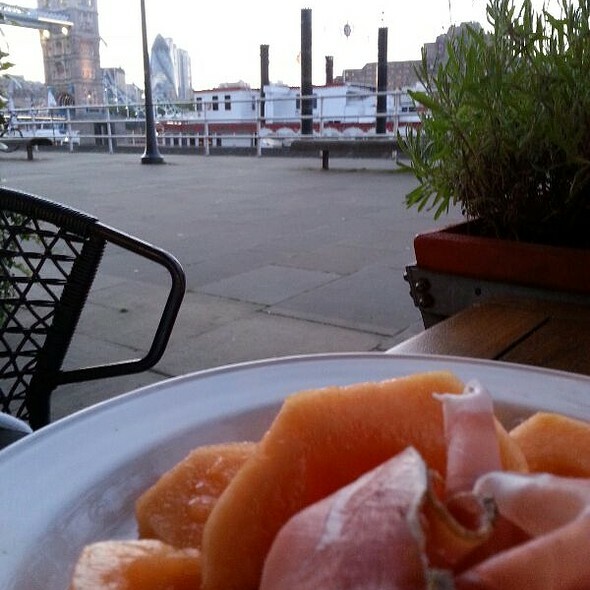 A classic trattoria, the service is as welcoming as you might expect, the food is delicious and authentic and there’s even a riverside terrace overlooking the less classically Italian view of Tower Bridge. Set dinner menu 2 courses for £20 and 3 courses for £23. Available Monday - Sunday. Terms and Conditions: Available Monday - Sunday. Available from 5.30pm - 7.00pm and from 10.00pm until closing. Maximum of 8 diners. Includes VAT, excludes service. Set Lunch 2 courses/£14.00 or 3 courses/£16.50. Available Monday - Sunday lunch. Terms and Conditions: Available Monday - Sunday lunch. Maximum of 8 diners. Includes VAT, excludes service. We were 10 minutes late arriving as my friend had a fall on the way there. As we'd booked the set menu we were just late for that but she rushed us so we could still have it. Unfortunately we didn't get a choice of extra vegetables which would have been good with the salmon. They were very slow bringing the one dessert one of my friends had ordered as their 2nd course. Had a fantastic time at this lovely and lively restaurant. Our kids stayed until 9:30pm and the staff were very attentive and accommodating. Imagine it is great in the summer to sit outside as the view of the bridge was beautiful. Terrific food, service was efficient and unobtrusive. 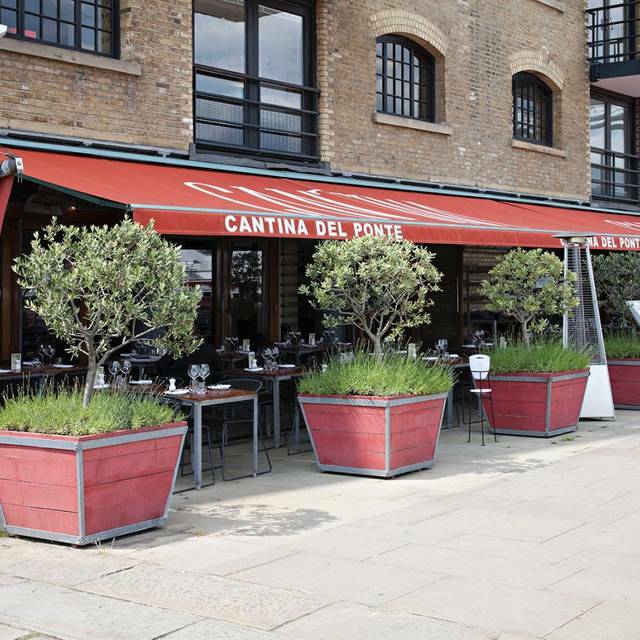 Once again visited Cantina del Ponte before going to the Bridge Theatre, which is just 5 minutes' walk away. As usual, the staff were very welcoming and service was efficient - apart from a longish wait for the main course, though this wasn't a problem. The food was very pleasant, and value on the set menu is outstanding. Always a great experience with this location, amazing food, staff and location. I live locally and eat here regularly. 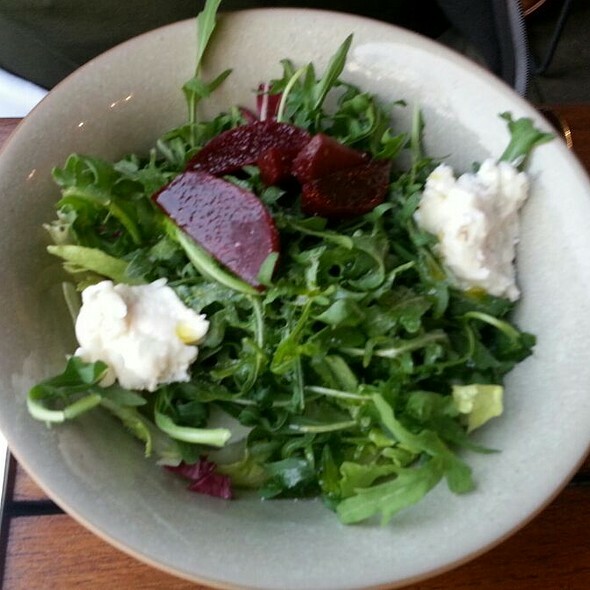 The food is really good and seasonal variations. Fantastic service and good value. A special 60th birthday celebration with 9 of us. Good food and service, but marred by a charge of £5 per person for having a birthday cake that we bought ourselves - £45. A bit steep by any standards. Shame. A good option for pre-theatre dining for the Bridge Theatre. The set menu had a good range of options and the portion sizes were generous enough. The staff were exceptionally friendly and helpful. Very enjoyable. Great food & service. Quite noisy. Lovely restaurant, great food and good value. This visit was for a works night out. I'll definitely be back with family! Much noise during the dining ,the restaurant is small and and the tables nearly. 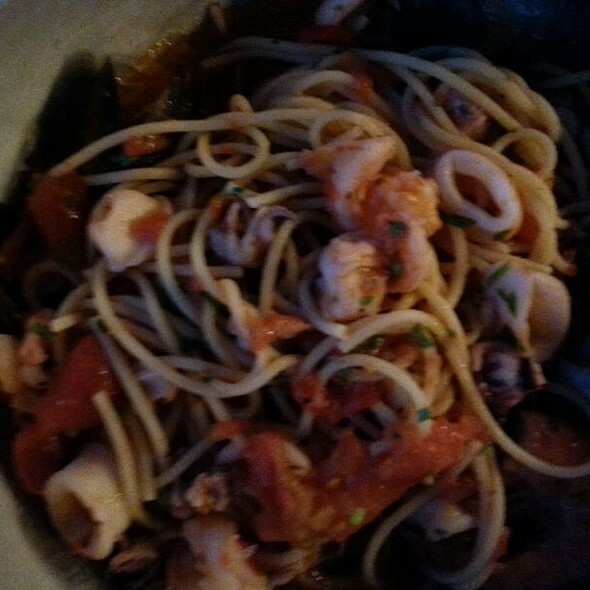 I took lobster fettuccine and the pastas were too cooked and soft ,the sauce very simply, I made better at home. We paid for the bread ,focaccia and finally everything made a lot of money.It seems cheap but it isn’t ,the portions are smalls . No real ambience as place was quite loud. Service was ok but not super attentive. Food was mediocre, some dishes like the veal seem overpriced whilst the pasta is good. The Risotto for two got almost a round of applause. The staff very accommodating of us, even though we were quite late. Great venue on the river. Excellent food and attentive service. It started with a phone call 2 hours before we were due to say that the kitchen was closing at 3, our reservation was at 2.30, so we had to order as soon as we got there.When we got there they looked surprised at us walking through the door. The service was lack lustre. They gave us the menu’s, cake to take out order and said the kids could only have pasta ( why not tell us at the time of giving us the menu?) The place is due a paint as it looks shabby and the toilets aren’t great. Our food was also Incredibly salty, we all reacted with red faces and being very thirsty. We won’t be returning. Not the best experience. Food was average and the restaurant has poor acoustics. 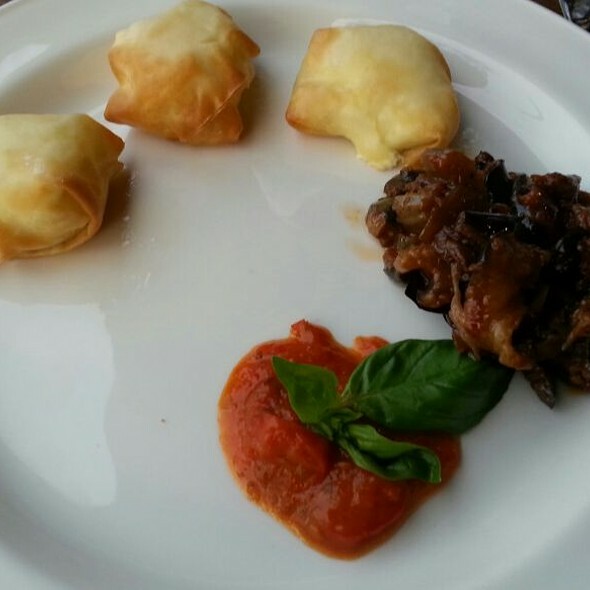 Our main concern was our server who had bad body odour that made it most unpleasant during the service. Had to request a bowl for fish shells as well as Parmesan cheeses and black pepper. Normally these are brought out at any good Italian restaurant. Great venue - super food - fabulous atmosphere and really attentive staff! My go to word for our meal was ‘nice’. Nice food, nice place, service a bit slow. Authentic experience. Great food. Reasonable value. We had the evening standard set menu which was 2 courses and a glass of wine for £15 or 3 courses and a glass of wine for £20. The food was well seasoned and good portion sizes, this was also brought out in good time. We went before a meal before seeing matinee at the news Bridge Theatre and it’s a great location for that. The staff were lovely and food wholesome flavoursome Italian fare. My only suggestion is that the bruschetta would be better if it was toasted both sides, it would only take a moment more but would have been much better. We were disappointed by the slow service even though we had alerted staff when we arrived that we only had just over an hour to eat and had ordered straightaway. We were served by different staff at the table and noone seemed to keep track of our order. We waited over 30m for main course and had to ask twice for dessert that I'd ordered at the outset. The polenta crust bream tasted of burnt oil. Panna cotta with berries was fine but had to eat in a rush. And the bill had 12.5% service automatically added which we feel on this occasion was not deserved but were in too much of rush to get to theatre to quibble. Not good value. Very nice food, friendly staff, good value and nice location - would be lovely in the summer! Nice wine and the set menu offers good value but the risotto was a bit dry and did not seem very fresh. The location is lovely and the service was great though! Excellent food at great value, the view is amazing and the service was impeccable - great find for our group and would definitely eat here again. Too few staff on for a Friday evening, so service was rather hit and miss. Food was very good as usual. Had another lovely time in this beautifully located restaurant that offers real Italian food and great value deals. This was a booking for an alternative to turkey for Christmas dinner. This was a set menu and it provided a wide choice. The food was very good and of a high quality considering the numbers of people being served and I enjoyed myself very much indeed. My only criticism, if that is fair? Is that there was too much food for me personally. I am not a big eater and the restaurant served up way too much for me. This is such a small issue but it is worth noting as I don't like to waste food. Good tables. Great views of tower bridge. Food for a date . Good food.